What’s Your 2014 Resolution Word? What word would you choose to be your focus for 2014? One word. That’s all you get. That’s your Resolution Word. I’ve been thinking a lot about which word I want to choose and I’ve got to admit it’s been a struggle. I want to be a better mom, wife, daughter, sister, friend, writer… person. I want to eat better, exercise more, work harder, achieve more. I can do better. I can be better. ‘Grow’ seems like a pretty good word but it just doesn’t feel right. Completely overwhelmed by choosing a single word to focus on, I just keep pushing it out of my brain to deal with later. And then it hit me. My whole life I have never been enough – for myself. Never smart enough, pretty enough, kind enough, worthy enough, or good enough for me. I could do better. Be better. Always. Which is weird, because I don’t feel that way about the people around me. I don’t have expectations like that for the people I love. In fact, I see perfection where they see flaws. So why can’t I extend that same grace to myself? Maybe admit that I’m actually pretty ok. Give myself a break and see that this perfection that I keep reaching for is actually crippling. Maybe there’s nowhere left to go. Maybe I need to let go a little before I can move ahead. Maybe I need to accept. Me. For me for who I am today before I can really be any better than I am now. Maybe that nagging cloud of frustration would drift away leaving me to feel more happy with myself. Grow seems right. It feels like what I’m supposed to say because I’m supposed to reach for more, dig deeper as they say. 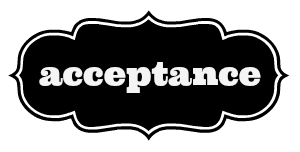 But this time I think I’m going to give acceptance a go and see where it leads me. It’s uncomfortable, but settling in a peaceful way. And who knows, it may just lead me to grow in ways I never imagined possible. What about you? 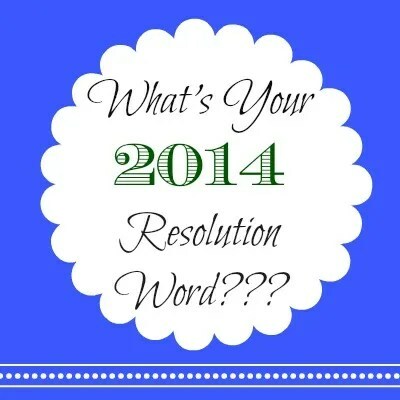 What’s your resolution word for 2014? Have you thought about it? Mine is Appreciation. Not just gratitude, but real Appreciation – putting the feet to your gratitude, so to speak! Great one! We all need to find a little more appreciation in our hearts. We take so much for granted in our world! Thanks for sharing, Remembrances! Lucy, these are great resolution words! And if they apply and help you get where you want to be – than GO FOR IT! Good luck and thanks for stopping by and letting me know your thoughts! It means a great deal to me!